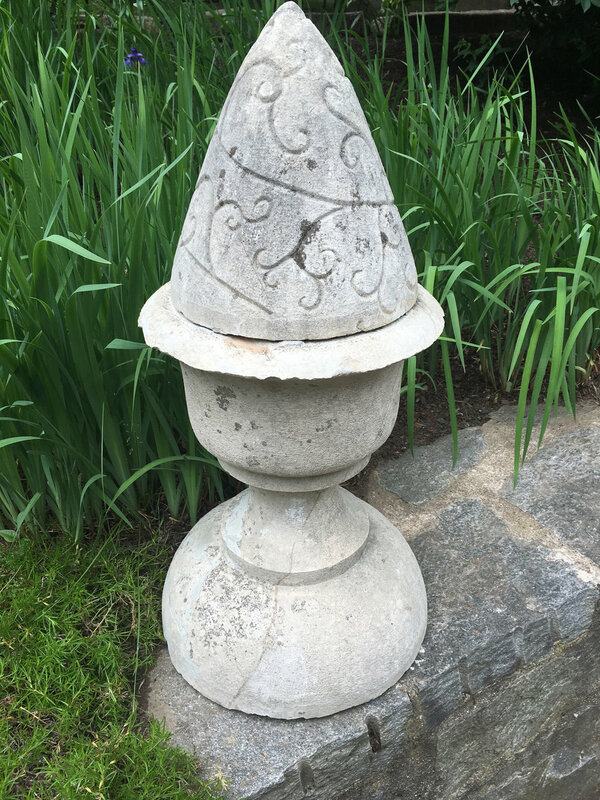 This pair of very large finials (each in two parts) is hand-carved from French limestone and features a rare swirled incised vine decoration to the conical tops. 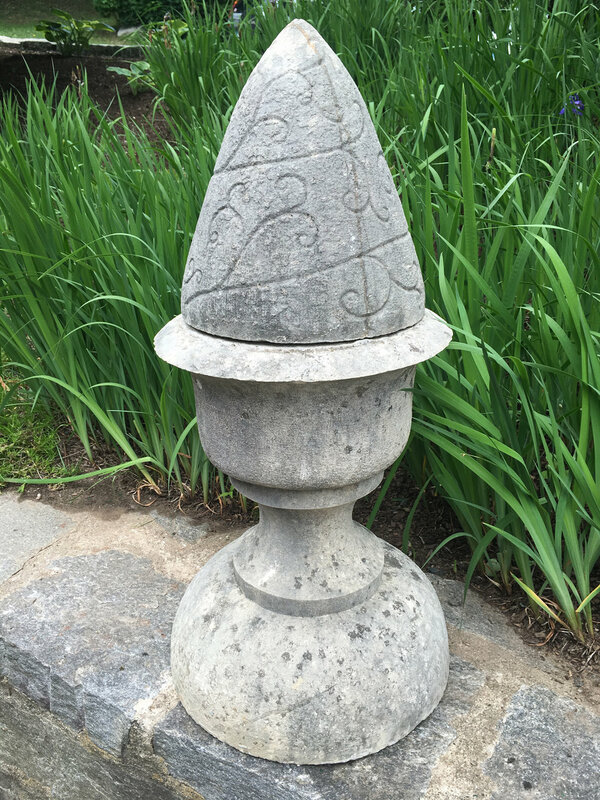 Beautifully weathered to a very pale grey, they will make a stunning statement perched atop the entrance gate piers to your home or flanking a grand entrance way. One base suffered some breakage long before we bought it, but has been professionally restored and looks quite good. Minor chips and knocks typical for pieces of this age. 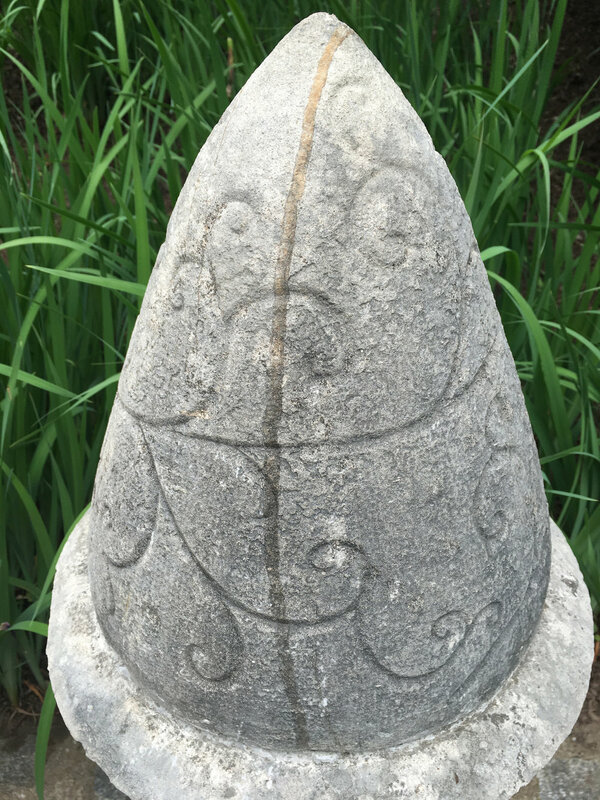 PLEASE NOTE that there are natural striations in the stone, and these are not cracks.